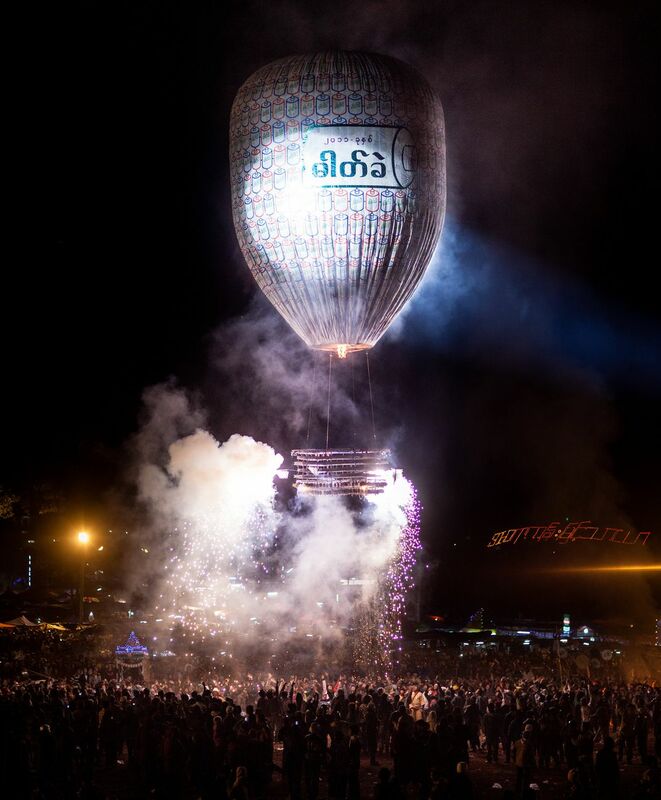 A crowd bursts into cheers after a successful laung at the balloon festival in Taunggyi, Myanmar. Handmade ballons large enough to carry a man are loaded with fireworks and sent off into the night. Date Uploaded: Nov. 29, 2013, 9:13 a.m.